Ladies and gentlemen, boys and girls of the Internet, it is my fond pleasure to introduce to you today the blog styling of Sophisticated Alpaca. 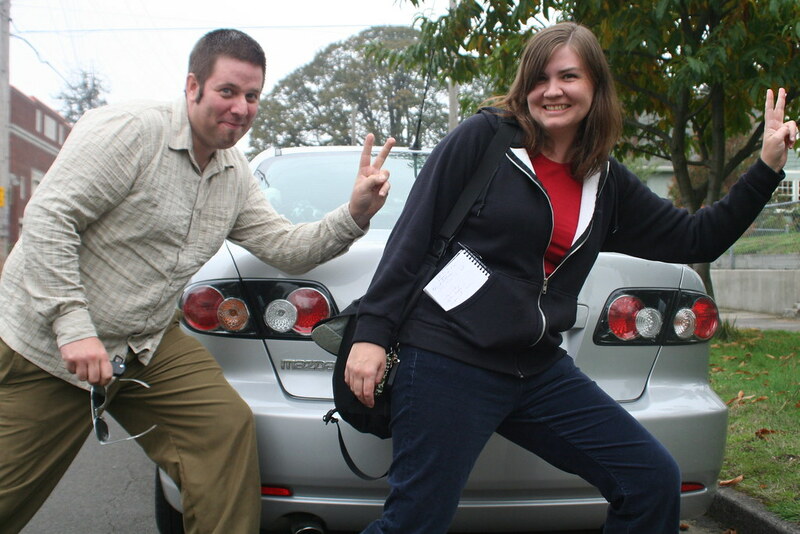 This blog with the funny name is the round the world travel blog of our friends and former neighbors Dennis Campbell and Kristi Barnes. It seems the travel bug is contagious and with no prodding from us, but maybe a little inspiration via this blog (self-congratulatory pat on back) Dennis and Kristi are headed out on their own world trip today. And I have to say they are doing a REAL world trip – every populated continent, the whole ticket, no population groups will be spared. And do I have to say “Easter Island”?!? They are going to Easter Island! I’m so jealous, they are going to blow our trip out of the water. So if your tired of our stale jokes, our predictable attitude to the locals we meet or our crap photography head on over to Sophisticated Alpaca for bright insights, informative travel writing and witty commentary on the state of the world. Seriously, one of the things we hoped to do with this blog was inspire other folks to get off the couch and get out into the world. We couldn’t have guessed back in January how close to home that inspiration would find fertile ground. We wish them the best of luck and the safest of travels.